I made a card for a young man who lives and works on a farm. 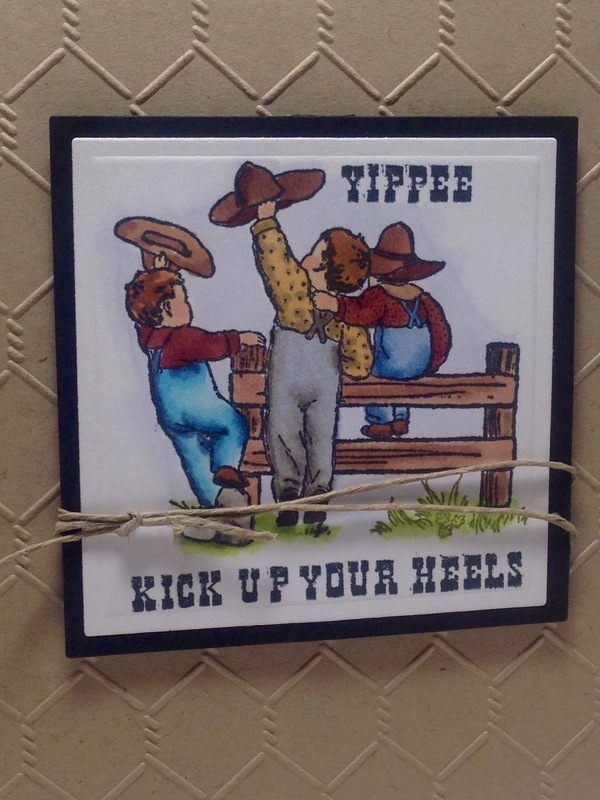 The main image is from Crafty Secrets "Down on the Farm". I just stamped it on white card stock, colored it with Copic Markers, and cut it out with a square Spellbinder's Nestabilitie. I adhered the main image panel to a black card stock base and wrapped hem around it twice and tied it in a knot. Then I embossed a sheet of Kraft card stock with a chicken wire Cuttlebug embossing folder and adhered that to a Kraft card base. I put the main image panel up on dimensionals. What a cute card! I love the embossed paper! 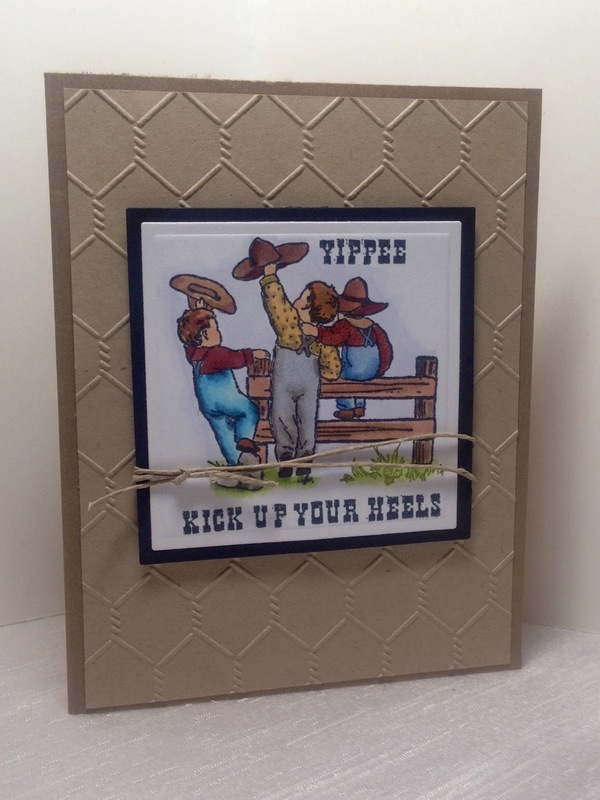 Fun card, the embossing folder was perfect for this and love the twine! Oh fab card, the embossing is just perfect ! looks great Amy! Perfect for a little cowboy!